I posted these photos on our facebook page, so I really don’t have to post them here… but they’re so darn cute I can’t help it! 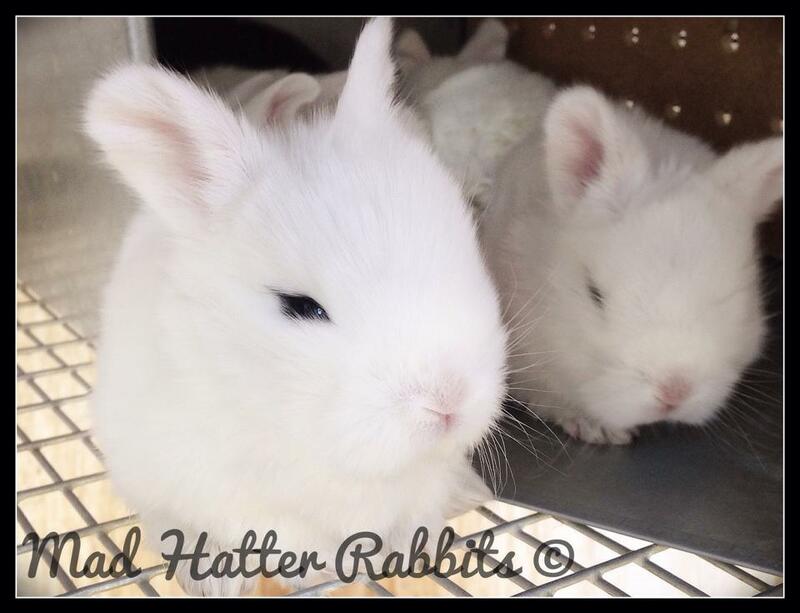 It’s exciting to have Blanc de Hotot babies around! This is Carol’s classic “whatchoo talkin’ ’bout, Willis? !” look. She’s been an awesome mama and is fostering 3 kits from other does. Every time we turn a nestbox on its side the moms find their own way to get away from the babies! Velma is safe… for now! Is there anything sweeter than those cute, pink ears?! 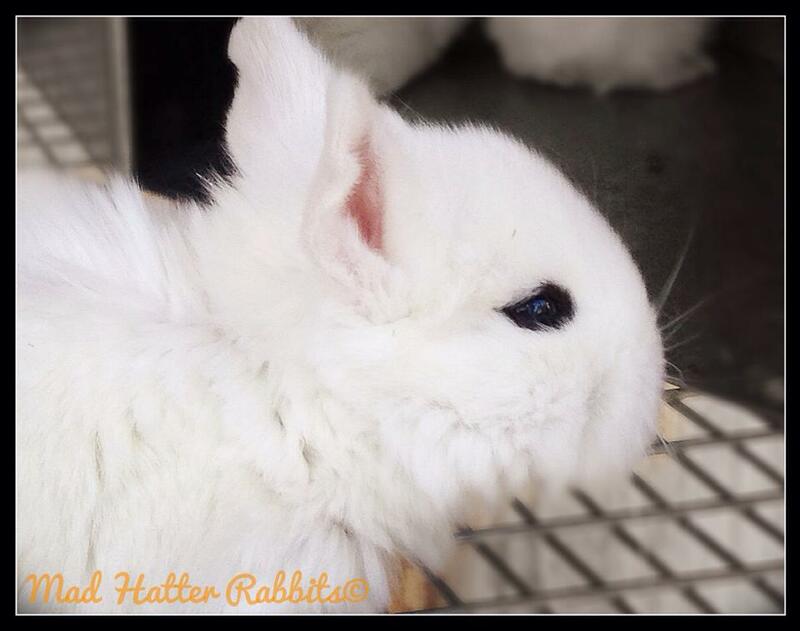 We are so excited to welcome Blanc de Hotot to our Rabbitry! 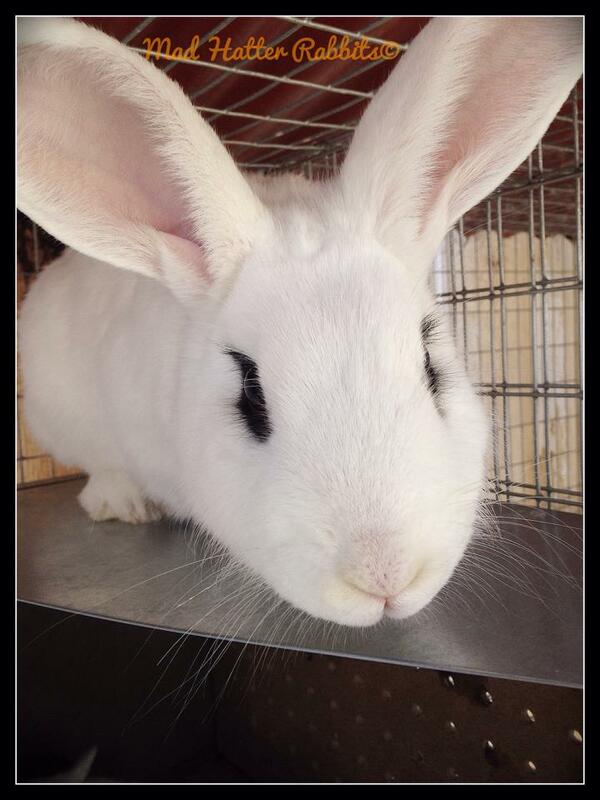 Our friend, Lisa, of Trinity Hallow, lured us into the breed by exposing us to some beautiful rabbits. 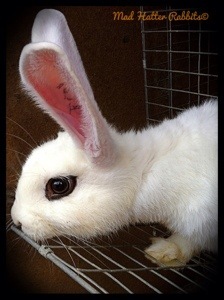 Then my mom decided she likes Hotot (pronounced oh-toe) and my kids started begging for “mascara bunnies” and we ended up with the number one rare breed in the U.S. camped out in our back yard! 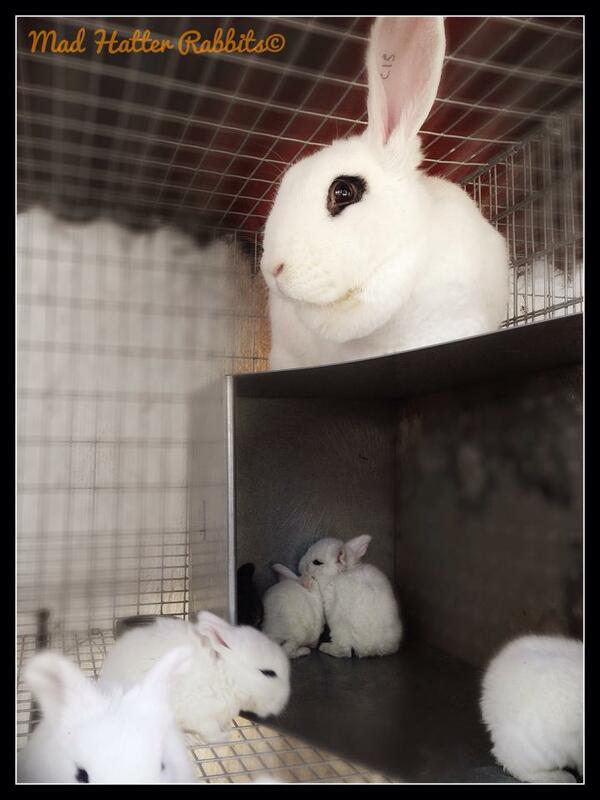 It will be a few months before we have any Hotot babies and it will be a new challenge to get show marked rabbits without any random black spots (Blancs are genetically black rabbits with a Big White Spot), but we’re looking forward to the experience!